A Bad Bet on Golden Gate Fields? The City of Albany spent more than $600,000 on a citizens' plan for developing the racetrack and the waterfront, but it may go nowhere. The owners of Golden Gate Fields decided not to participate in the visioning process. 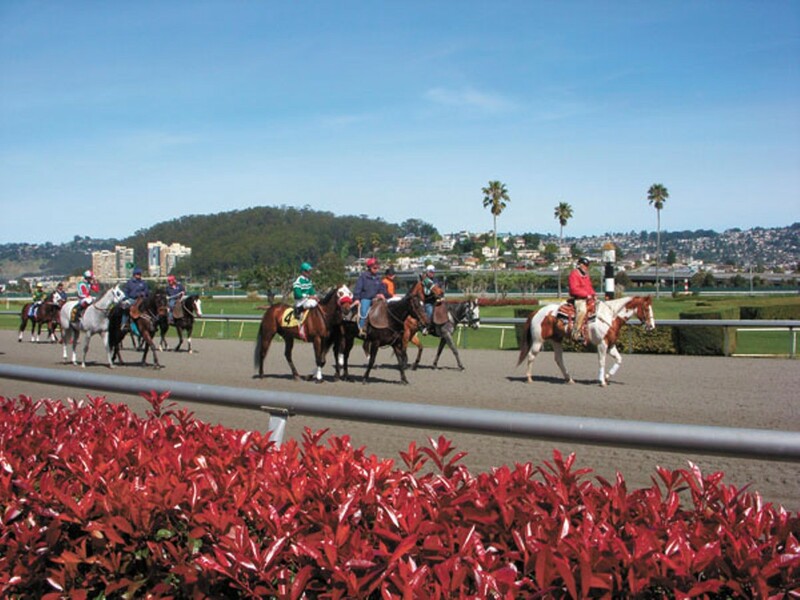 Several years ago, the City of Albany embarked on a vision quest for what Golden Gate Fields and the waterfront should look like in the future. The city hired private consultants to talk to city residents about what they wanted to see on one of the most prized properties in the East Bay. The process included dozens of town-hall-style meetings, and the results are scheduled to be released early next month. But it's unclear whether the expensive report, which ultimately cost the city more than $600,000 to complete, will serve as a blueprint or will end up on a dusty shelf somewhere inside City Hall. The reason is that the owners of Golden Gate Fields, Magna Racing Corporation, decided not to participate in much of the visioning process for how to develop their own property. As a result, there is no telling whether the racetrack owners will embrace the pricey new vision or simply ignore it. In other words, when the report is unveiled at Albany City Council sessions on April 5 and April 22, the question might not be "What do the citizens of Albany want?" but, "Does it matter what they want?" The fact that the report went forward without significant participation from the racetrack's owners also suggests a disconnect between the city and the Oakland-based consulting firm that put it together. In an interview, Albany Mayor Joanne Wiley insisted that Golden Gate Fields and Magna "have been very closely involved, very much included in this." But the consultant, Fern Tiger, said to her knowledge the only person affiliated with either Golden Gate Fields or Magna that had attended any of the "Voices to Vision" sessions was a jockey who sometimes races at the track. Asked to clarify, Fern Tiger wrote in an e-mail: "We interviewed local GGF management. We also made efforts to connect with Frank Stronach the majority Magna shareholder. Magna and GGF officials chose not to be engaged in the actual process. Had they wanted to participate they could have attended both the spring and January non-resident sessions." Fern Tiger had not only asked city residents for their vision for Golden Gate Fields and the waterfront but also talked to non-residents. Magna vice president for California Peter Tunney, the top executive at Golden Gate Fields, did not return multiple calls for comment for this story. In 2007, a consulting firm that the city hired to determine whether Albany should go forward with the planning process had warned about the importance of involving the racetrack's owners. The firm, Neuwirth & Associates, stated at the time that Magna needed to be actively involved in the planning process lest it "simply become another expensive and futile exercise." The consultants had a good reason for their warning. Prior discussions among Albany residents, city officials, and the owners of Golden Gate Fields had not gone well. Five years ago, developer Rick Caruso, working on Magna's behalf, proposed creating a $200 million "life-style center" on the property that would have included apartments, shops, restaurants, and a farmers' market next to the racetrack. But Caruso knew that he needed buy-in from city voters. That's because a 1990 voter-approved initiative, Measure C, requires voter approval for most types of development along the Albany waterfront. So before filing an application with the city's Planning Commission, Caruso undertook a massive public relations campaign in hopes of convincing residents to support his plan for a mixed-use residential-retail development that he said would bring in $2 million of revenue for the city each year. He retained a Berkeley-based public relations firm and made appearances at neighborhood parties to deliver his pitch, detailing the extra lengths he was willing to go to build on the property. He offered to sponsor free concerts, bankroll a new exercise center for the YMCA, and create a new trolley-line to run between the property and Solano Avenue. Nonetheless, Caruso's plan, like others previously proposed by Magna and past owners of Golden Gate Fields, was met with vehement opposition. "We're adamantly opposed," then Mayor Robert Cheasty told the San Francisco Chronicle in 2005. "We're going to fight. We just can't roll over for this." Caruso withdrew his bid to develop the waterfront a year later and the Albany City Council later passed a resolution to fund a city-initiated planning process for the waterfront. "A range of viewpoints for the future of the waterfront would be included ... including the property owner, potential developer, proponents of the initiative, and other community members," it said. After spending $17,000 on the first consultant, Neuwirth & Associates, the council ultimately awarded the $592,713 visioning plan contract to Fern Tiger Associates to find out what city residents really want for the land. "If you look at the history of Albany, the community had turned down every proposal the developers have put forth," said Mayor Wile. The resulting "Voices to Vision" process included 38 town-hall-style meetings. All told, more than 1,100 Albany citizens weighed in at least once on the report, and Mayor Wile and Fern Tiger said they were both extremely pleased with the outcome. "This was incredibly respectful," Tiger said. "People really listened to what others had to say." Wile likewise said she was "very impressed by the thoughtfulness of the people who participated." Still, some members of the community were less satisfied. The project was intended to reconcile differing views and elicit consensus, but the decision to limit participation to individuals left groups that have campaigned on behalf of the waterfront feeling that their views were unrepresented. "I'm not sure it will get us to a good understanding of what people would really support or want on the waterfront," said longtime Sierra Club activist Norman LaForce. According to LaForce, Citizens for East Shore Parks, Citizens for the Albany Shoreline, the Golden Gate Audubon Society, and the Sierra Club have developed alternative scenarios for waterfront development. One calls for the removal of the racetrack and limited construction close to the freeway that would act as a sound barrier, keeping the remainder of the land open space. LaForce contrasts that proposal with the scenarios presented during the "Voices to Vision" sessions, which he calls "artificial constructs ... very little [of which] have anything to do with what people have actually talked about." Yet even if the Fern Tiger report goes nowhere, the city likely will not give up on its effort to control development on the waterfront. Golden Gate Fields consistently generates more than $1 million in tax revenue for the city each year, representing an average of about 7 percent of the city's general fund. Proceeds from the track also support the Albany school district. This year alone, the district is due to receive $682,000. For years, city leaders have thought that Magna would eventually abandon the racetrack because of flagging racing profits. But even after filing for bankruptcy last year, Magna fought hard to hold on to the track. The corporation cut a deal in January that would allow its parent company, MI Developments, to buy Golden Gate Fields and two other tracks in Southern California and Florida. In other words, Magna doesn't appear to be going anywhere anytime soon. Will the city's balance of power remain with the incumbents? Salt water and slow boat rhythms infuse the band's new album, Fever. Who's hot this summer? Our picks for local performers to hear.